PIQUA — The Edison Foundation at Edison State Community College will hold their third annual Girls’ Night Out Little Black Dress–A Celebration of Women’s Education. The event will be held on Wednesday, April 17, from 6:30 to 8:45 p.m. in the Robinson Theater of the Piqua Campus. In the fall of 2018, the first full scholarship was awarded to Andie Emerick, of Troy, based upon her academic achievement and extracurricular activity. Emerick attended the Upper Valley Career Center during her sophomore year of high school to become a certified cosmetologist. Today, Emerick is employed full-time at Giacomo’s Salon and Spa in Troy. 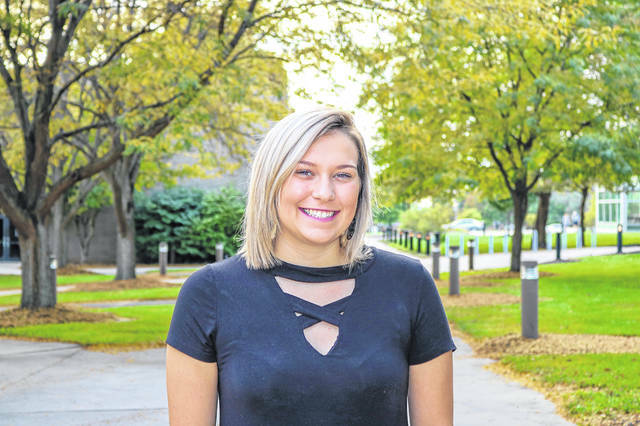 With a goal of one day owning her own salon in the Troy or Tipp City area, Emerick began pursuing an Associate of Applied Business degree in Entrepreneurship at Edison State in the fall of 2018. Emerick will continue to take classes online as she works full-time and is on track to graduate in 2020. “I chose Edison State because of their easy enrollment process and helpful staff. The staff in student services were extremely helpful and went above and beyond to assist me,” said Emerick. The event is returning for a third year following two successful events, which have collectively raised over $14,000 to support scholarships for women at Edison State. “Although providing the means for women’s scholarships is very important, the event is also about empowering women and providing scholarship recipients with the opportunity to become the best version of herself,” states Lisa McGraw, Little Black Dress Committee Member. For $50 per person, the evening’s guests will enjoy beverages, hors d’oeuvres, dinner served by local celebrity men, a gift bag, and the chance to get all dressed up in their favorite little black dress. Throughout the evening, attendees will have the opportunity to raise additional funds by tipping the wait-staff to sing, dance, and perform other unique talents. Seating is limited and guests must be 21 years of age or older to attend. All proceeds support scholarships for women at Edison State. Tickets are available for purchase at www.edisonohio.edu/LBD. For more information, email foundation@edisonohio.edu. The Edison Foundation is a 501(c)3 nonprofit tax-exempt organization.